Koji Uehara served up two home runs in the top of the eighth inning as the White Sox came from behind to beat the Red Sox 8-6 at Fenway Park on Wednesday night. 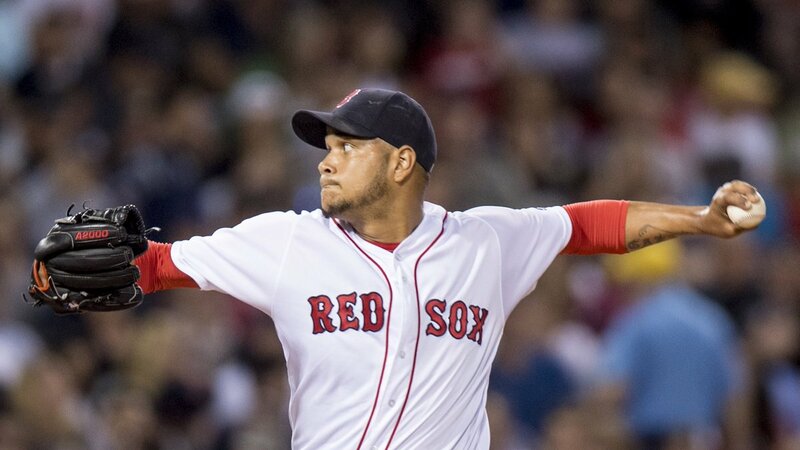 Eduardo Rodriguez (pictured) started for Boston, going six innings. He allowed four runs on four hits and two walks while striking out seven. His fastball showed good life; he consistently hit 95-96 MPH on the Fenway radar gun. The White Sox took an early 2-0 lead on a run-scoring double by Melky Cabrera in the first inning and an error by Travis Shaw in the third. The Red Sox responded with a four-run third inning highlighted by RBI singles by Xander Bogaerts, David Ortiz, and Jackie Bradley Jr.
Bogaerts finished the game with a team-high three hits. Mookie Betts and Dustin Pedroia each had two. Hanley Ramirez hit a solo home run in the sixth inning, his sixth long ball of the year.